Long for the old school days? Back before waterpipes had so many percs it looked like a chemistry set? This is the tube for you. This old school tube water pipe stands at over a foot tall, with an Ice pinch in the middle, just pour some water, pack the tube with a half tray of ice, pack your bowl and you’re good to go. Just because it doesn’t have any percs, don’t expect a lack of bubbles. The 3-slit downstem makes sure the smoke really mixes with the water before it hits the ice. 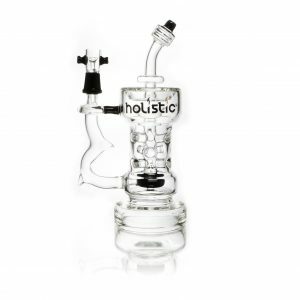 The Old School Tube continues the tradition of durability and excellence we at Holistic pride ourselves in. 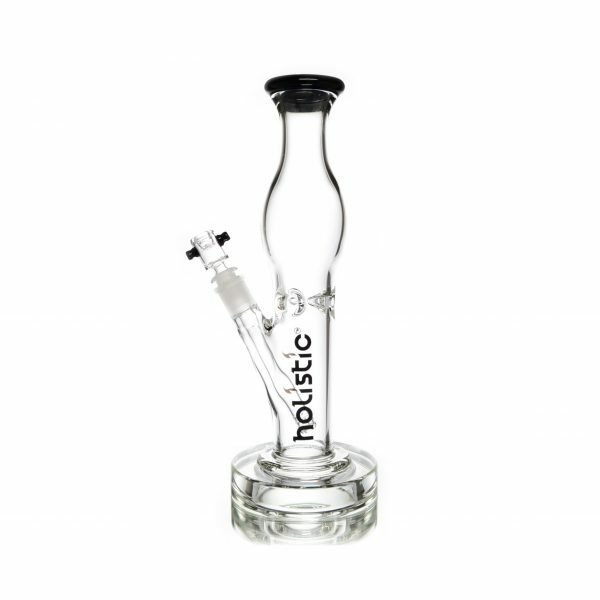 The extra thick 13.4 inch tall, 5mm glass straight tube not only stands tall, but stands strong as well. With an ice pinch and a widened ice chamber, you can shove more ice than your standard straight tube. 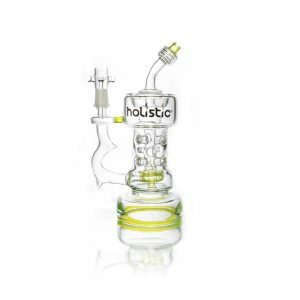 The 3-slit downstem defuses the smoke, cooling it off considerably before the smoke even meets the ice. Want to keep your pipe cleaner, longer? 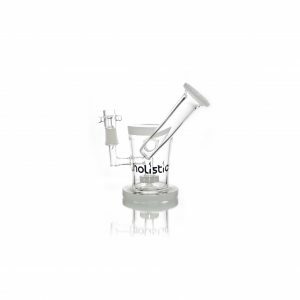 Grab an Ash Catcher, and let the catcher do the work for you.